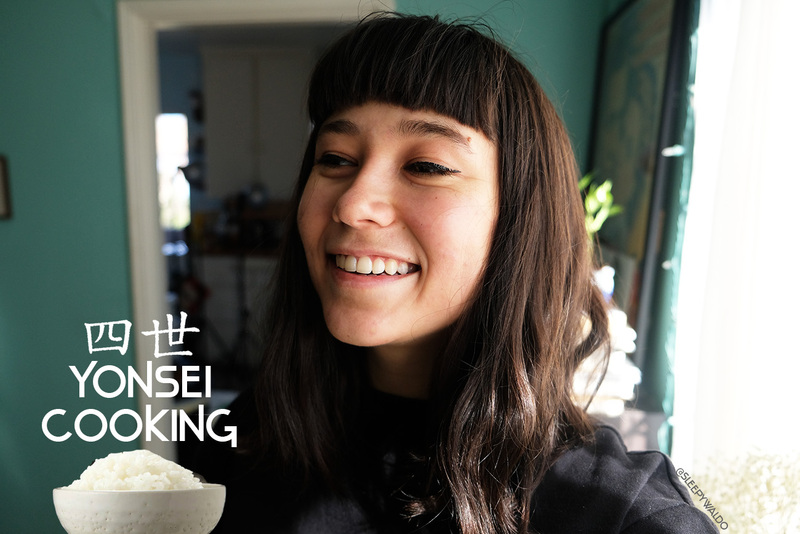 Introducing Yonsei Cooking, a series where I’ll attempt to make Japanese recipes suggested by my mom and share the journey. It’s not a super fancy dish, but has this feeling of being more special than a typical weeknight dish for just yourself. My mom said she’d make this for a group of people because even though it is easy to make, it feels like it’d be for a special occasion. This may just be my mom, who prefers not to deep fry things. 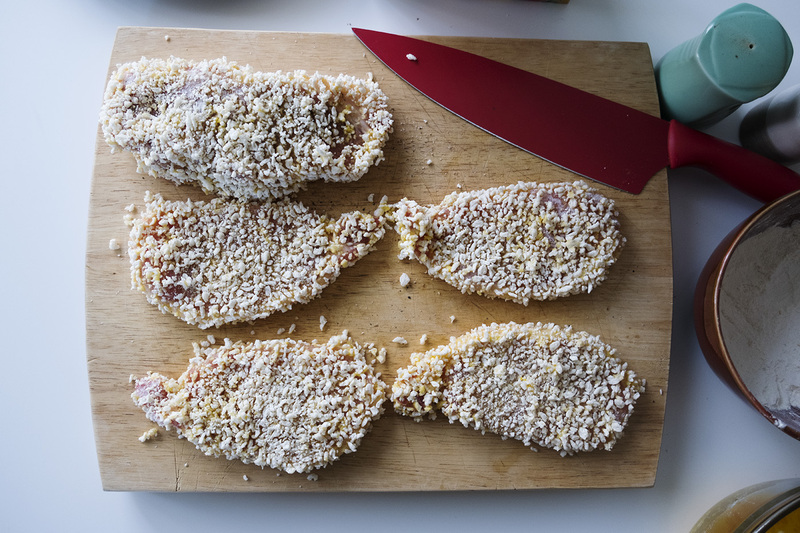 There’s lots of ways to enjoy tonkatsu and katsu can be made with more than just beef or pork. 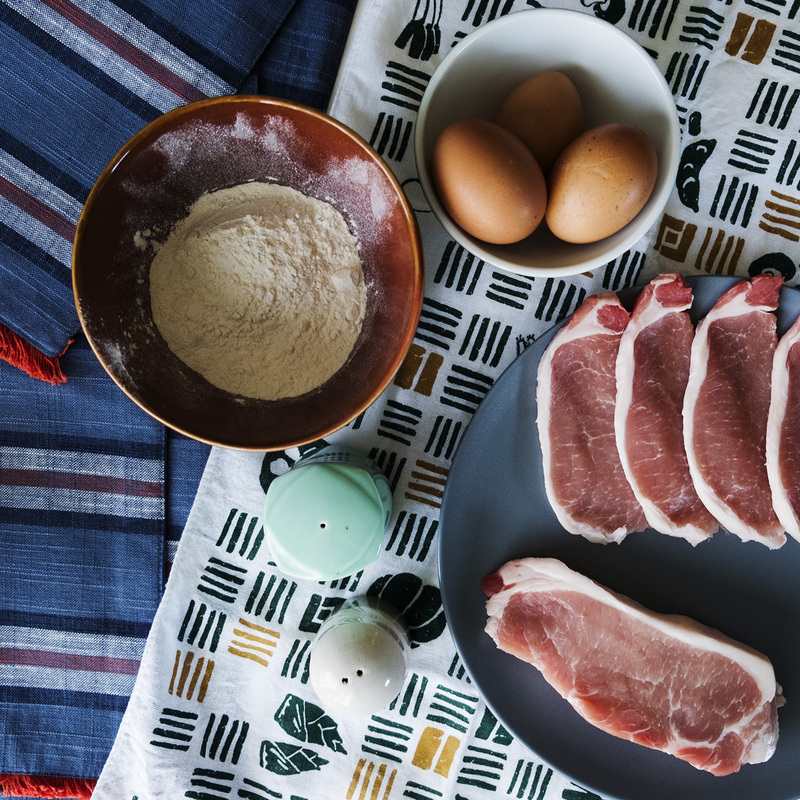 A few goodies to accompany your tonkatsu? 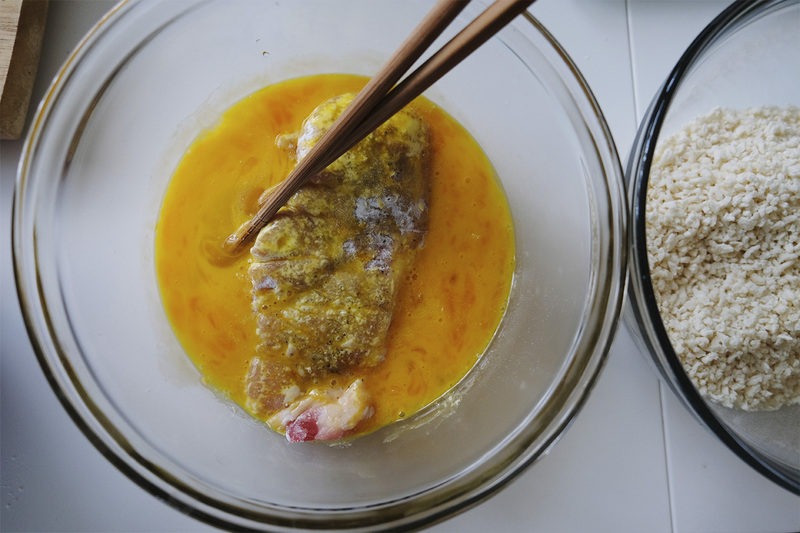 Shredded cabbage, tonkatsu sauce, mustard, lemon…plus have a side of rice, miso soup, and tsukemono (pickled veggies). 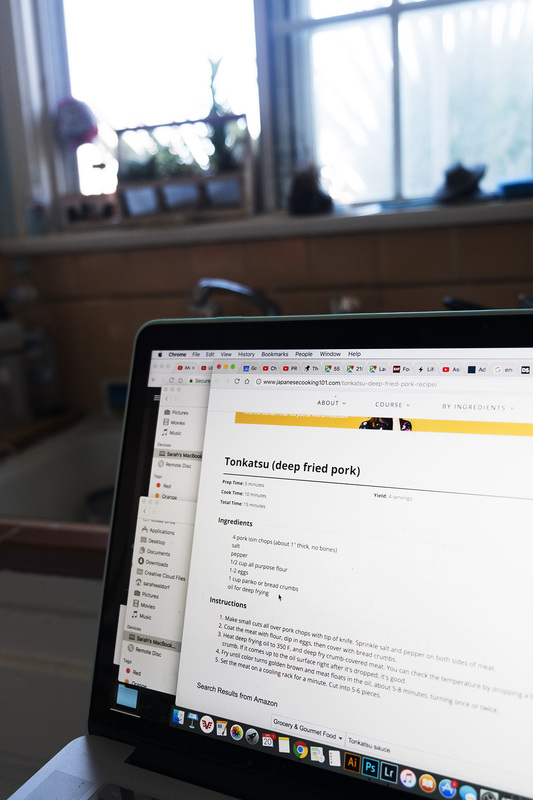 So a few days ago my mom sent me a link to this recipe by Japanese Cooking 101 and though I purchased the ingredients a few nights back I stood in the kitchen preparing to conquer my fear of deep frying in my apartment. 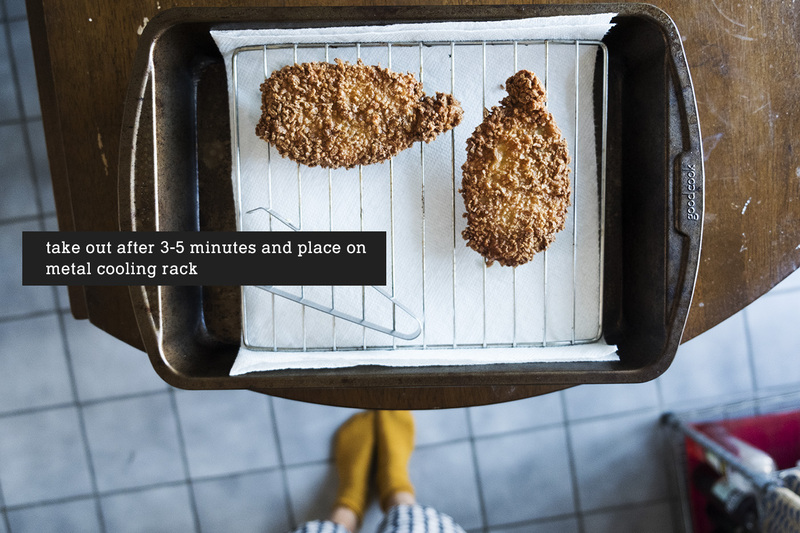 Allegedly this recipe was going to take 5 minutes of prep time and 10 minutes of cook time. 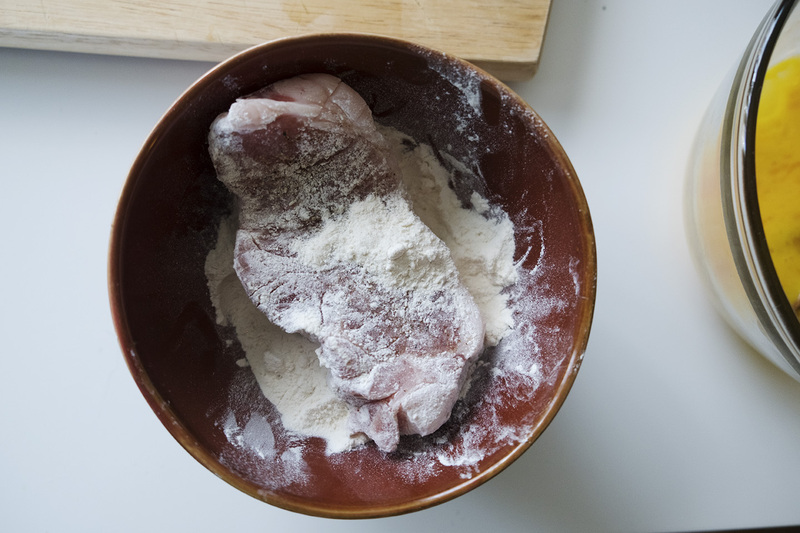 So far staring at the recipe *panicking* has already taken quite of bit of prep time from me. I spent so long organizing this shot, including dirting up some extra plates to display the eggs and pork. Worth it? 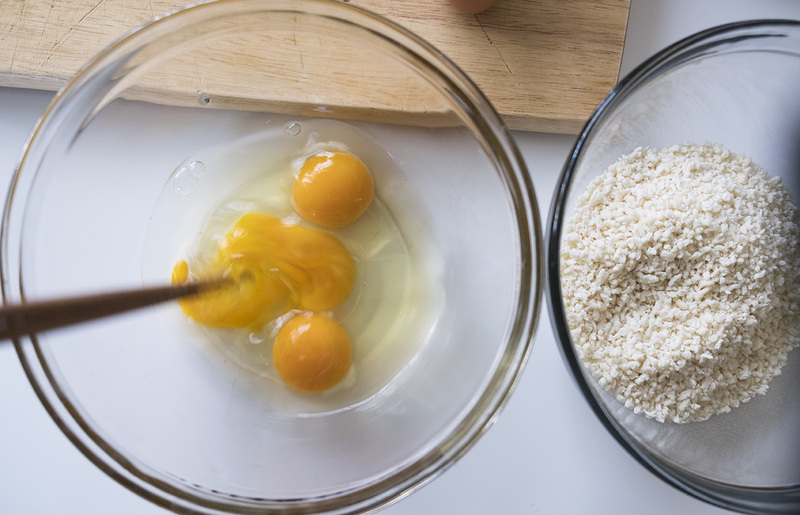 STEP 1: Prepare your ingredients! 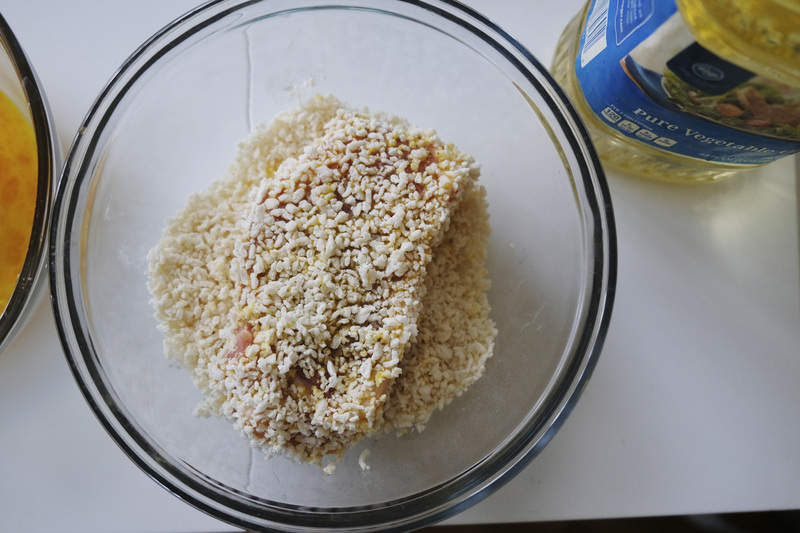 At this point I realized it’d be important to have some bigger containers for the eggs and panko, as with a wider open tray it’d be easier to coat the pieces of pork. Part of learning to cook is realizing you don’t really have the necessary kitchen things all the time. But that’s okay, we’ll make it work. 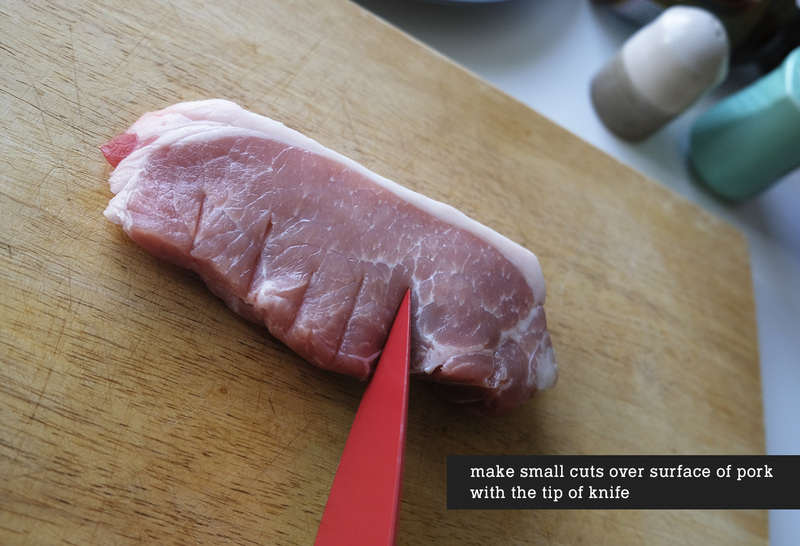 STEP 2: Make little cuts on the pork, front and back. Really not feeling good about this at this point. They looked kinda…funky? 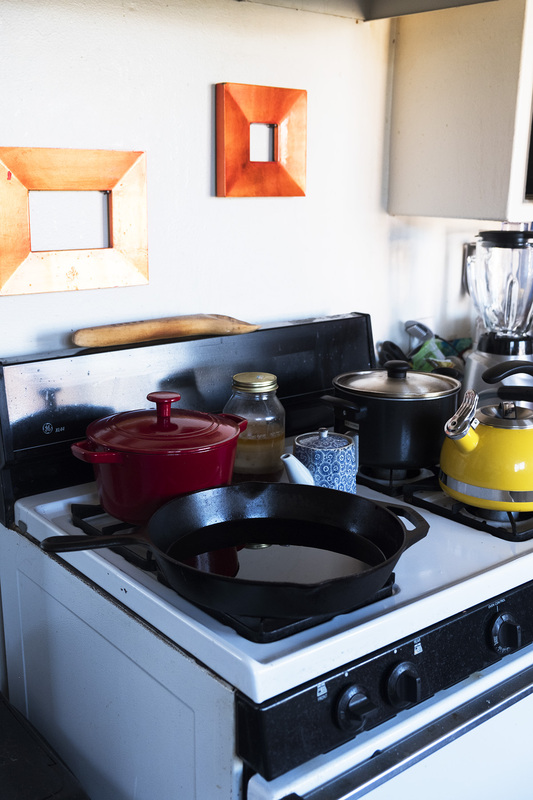 But, it was time to get the stove ready. 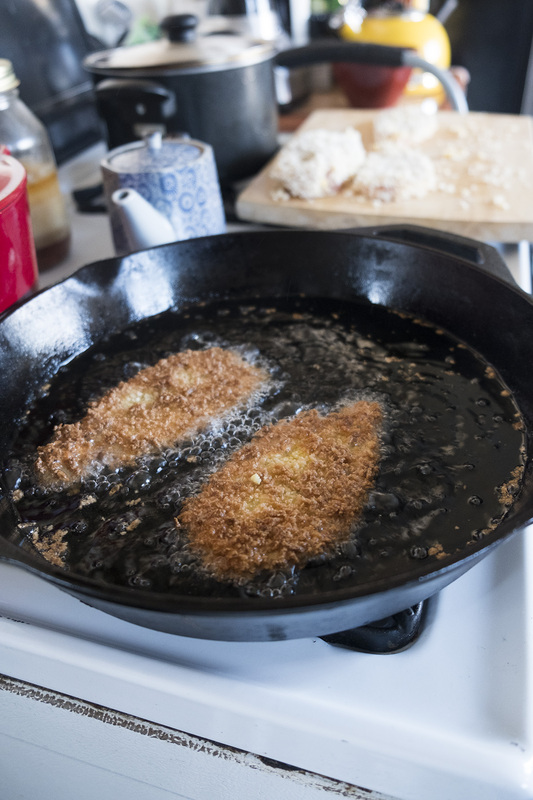 STEP 5: Using canola or veggie oil, heat up the oil in a frying pan. 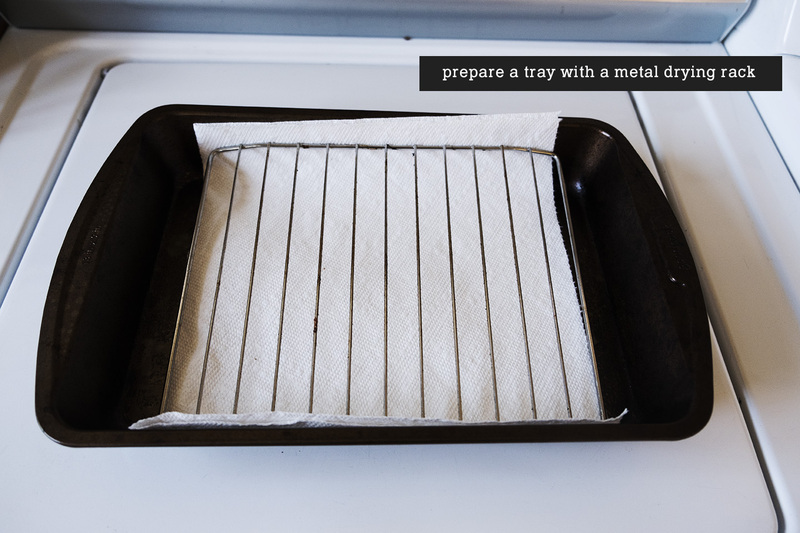 STEP 6: Prepare a tray with a metal drying rack. 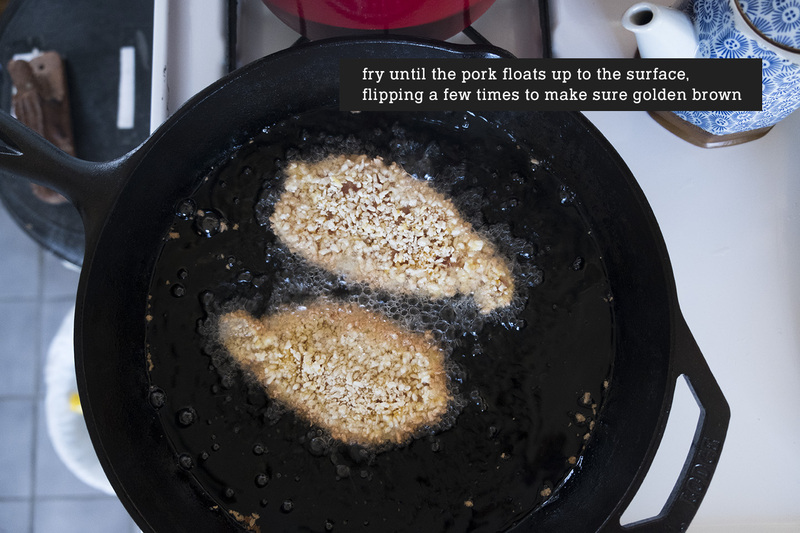 This is where you’ll put your fried pieces of pork to drip off extra oil and hang out. 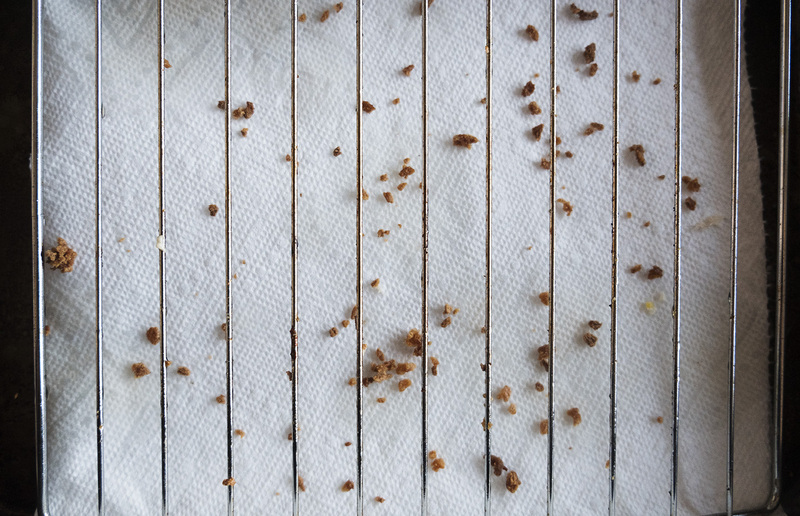 I didn’t actually have a rack, so I pulled the tray out of my toaster oven. Make. It. Work. 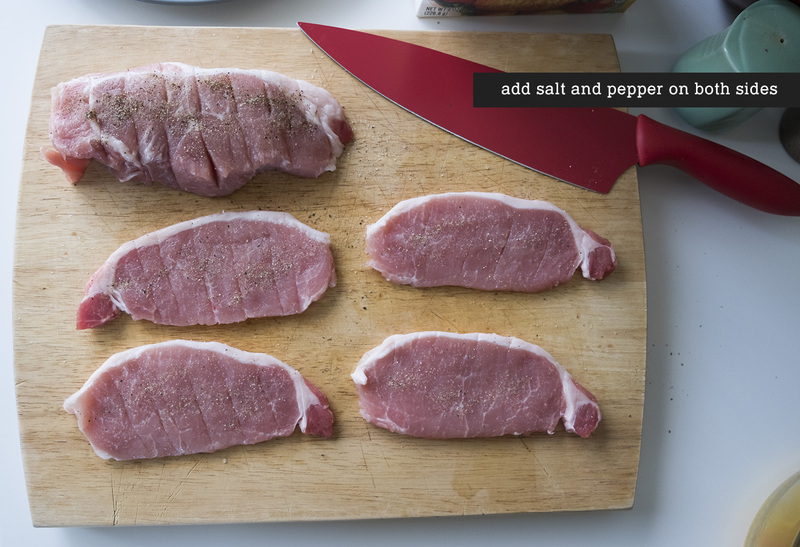 STEP 7: When the oil reaches 350 degrees F, add a few pieces of pork in at a time. 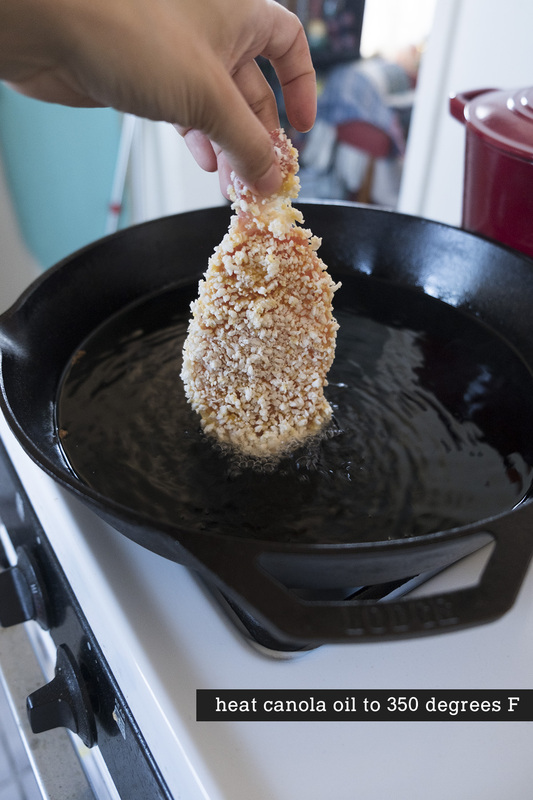 To test how hot the oil is, use a food thermometer or drop a piece of panko in and see if it fries and floats. I wasn’t sure how much oil to use, but I finished up a bottle so I figured that was going to have to do. 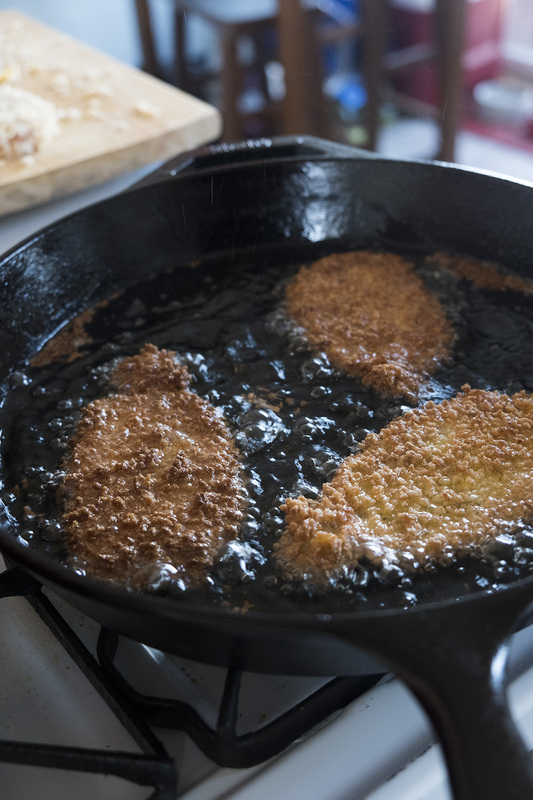 STEP 8: Fry for a few minutes on each side, especially if the pieces are smaller. I flipped the pieces about 2 or 3 times each, just because I was nervous one side was burning. I wasn’t sure if I added enough oil to the pan, as there wasn’t really room for it to “float up” when done? I just eyeballed it. STEP 9: Take the babies out of the fryer and let rest on drying rack. I should say that 3-5 minutes is for the smaller pieces, I left the bigger one in for closer to 5-7 minutes. 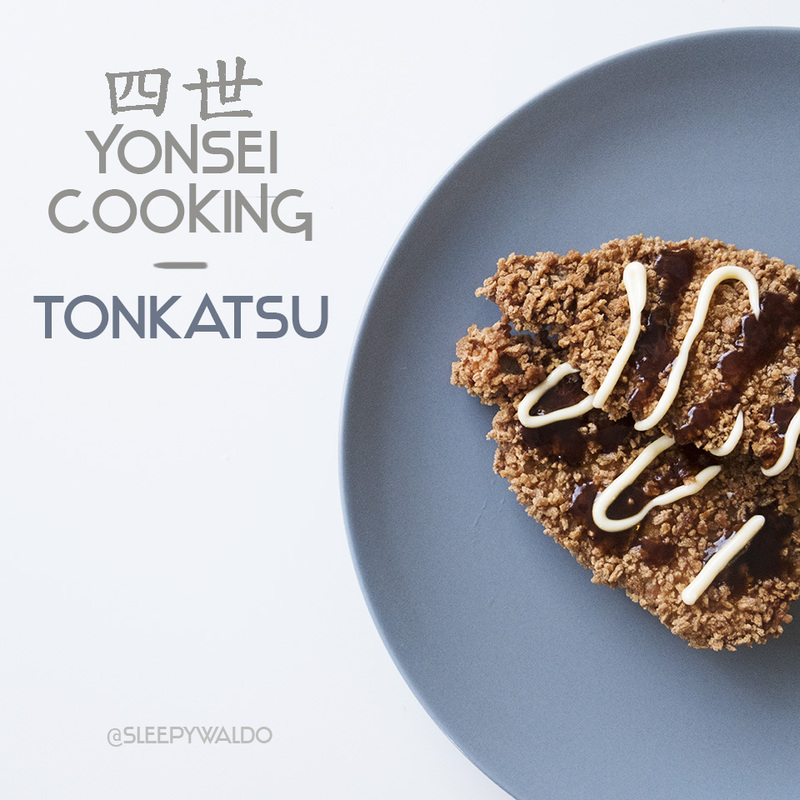 STEP 10: Add tonkatsu sauce and kewpie mayo! 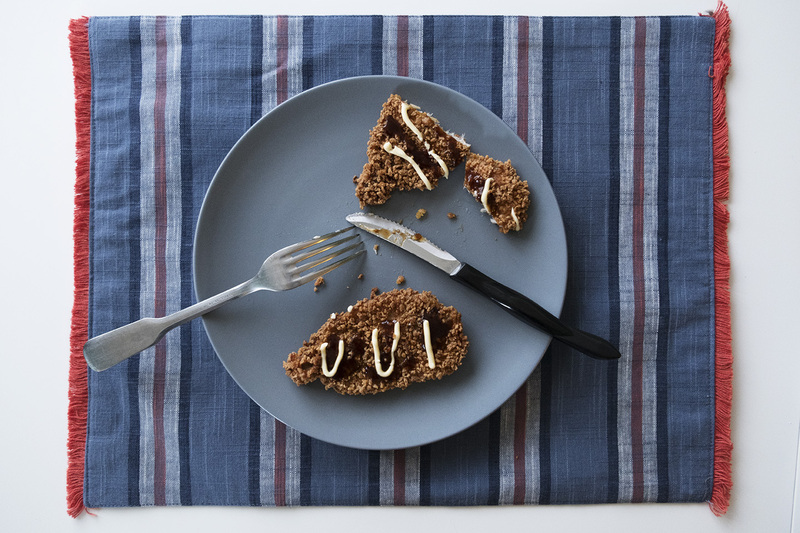 STEP 11: Eat! My mom suggested serving with cabbage, but when I ran to Target earlier, unfortunately, they didn’t have any. 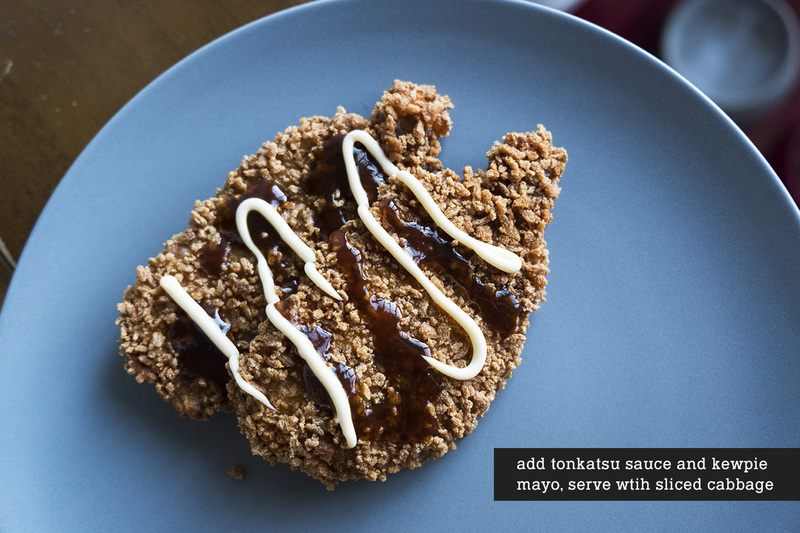 It was delicious, especially with the Japanese mayo. 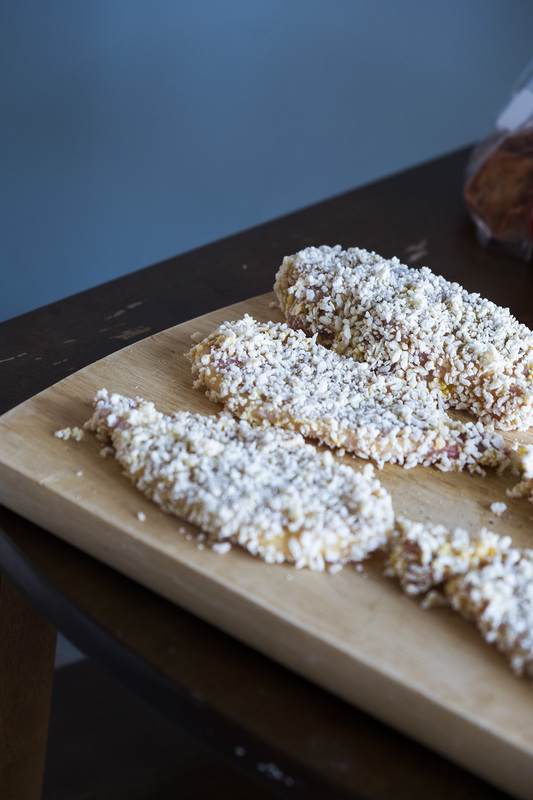 The thinner pieces weren’t dry and were really flavorful…and the thicker piece did also cook all the way through so that was encouraging. 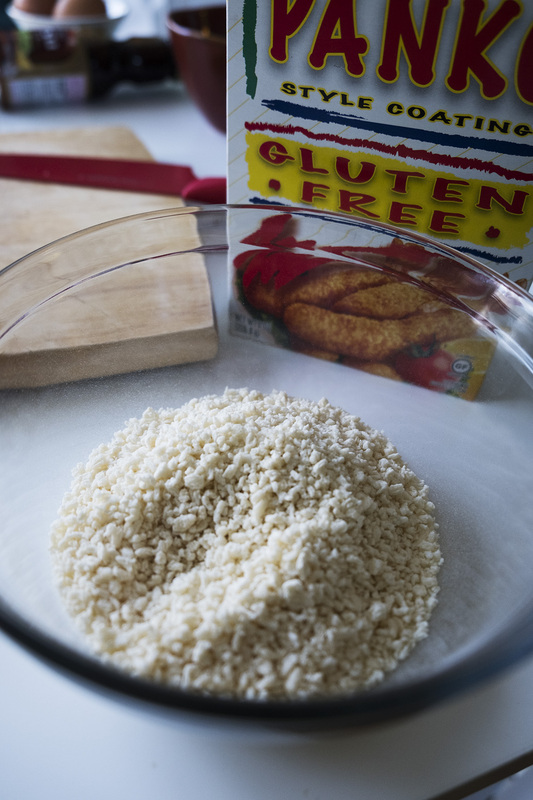 All in all, it was easy enough to find and gather the ingredients, prep them, and make the dish. 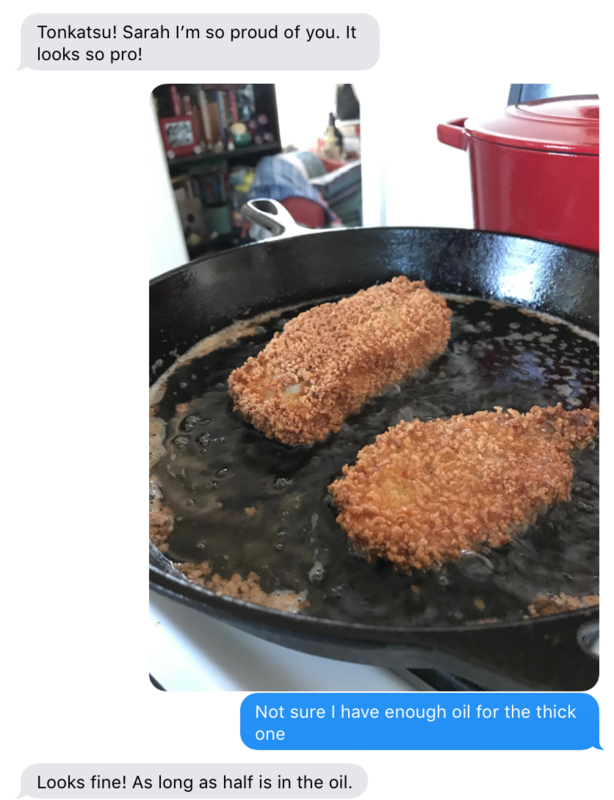 I texted my mom throughout the frying process and she sent some encouraging words. Mom approved. Me approved. I’d make it again, though hopefully next time I won’t be alone all day and there will be somebody else there to try it. Thank you so much, so happy to hear you’re looking forward to more! I’ll have to ask my mom for more recipes. This is a lovely project! And reminds me of the photography series you did a few years ago, the name of which I’m totally blanking on. 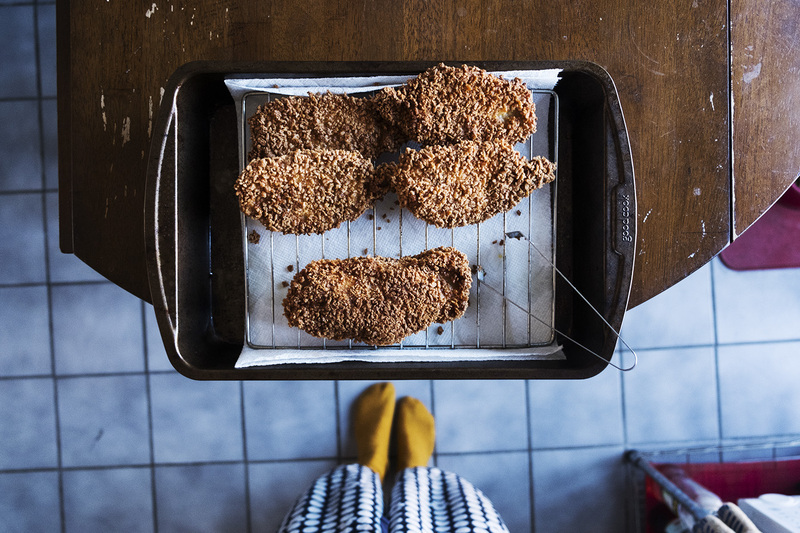 Torikatsu is one of my favourite things, though I’m definitely making a very inauthentic version i’m sure! Question: what did you do with the oil afterwards? I never properly deep fry (just kinda use a bit more oil than normal and keep my pieces small) because I have no idea how best to dispose of all that oil! Thank you! I’m excited to do more of these, hopefully. As for oil…I have a gross oil jar that used to be a pasta jar and now I just pour used oil into it. When it gets full, I just toss the whole jar into the trash. Not sure if this is the best way to do it…but that’s what I do! Thank you! 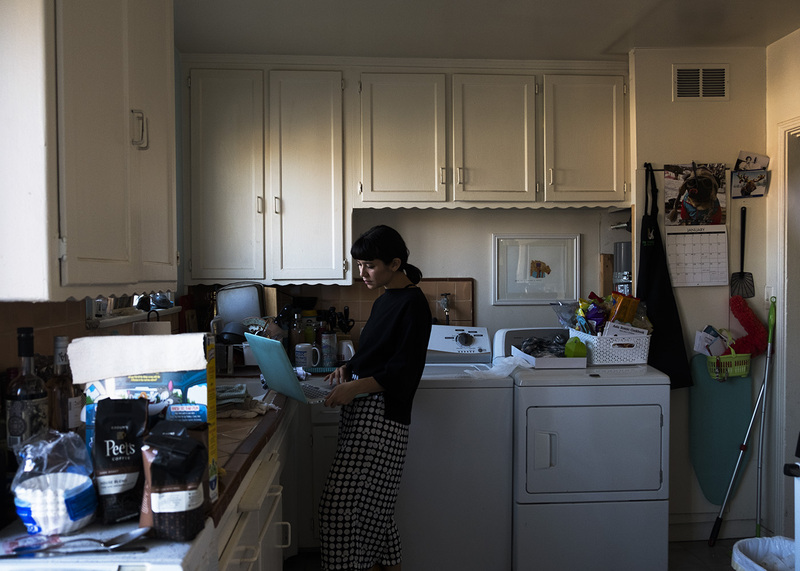 Super interesting about your boyfriend’s family—what is their favorite Japanese food to make at home? Love this new series! 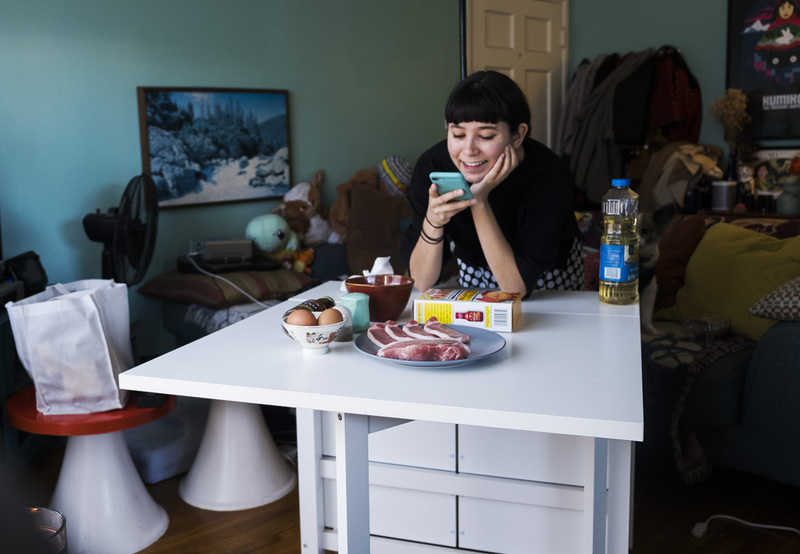 I hate cooking but you make it look so easy and the photos help. 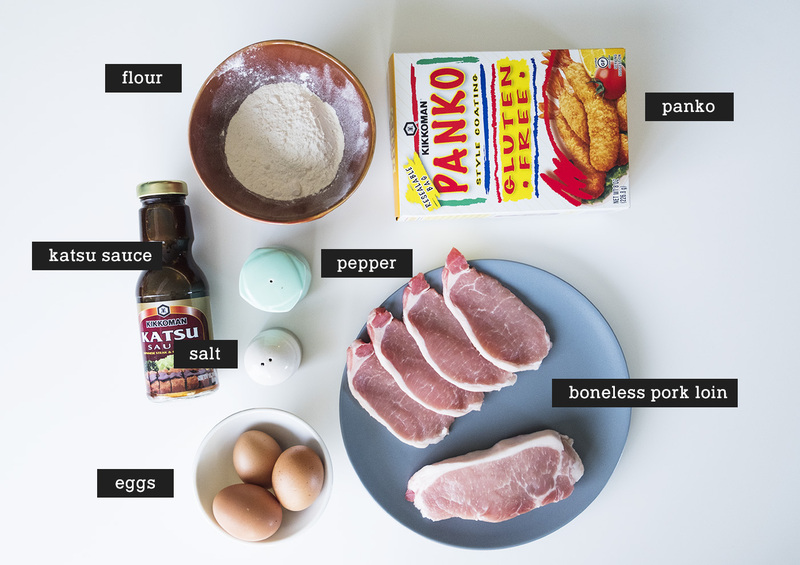 This has definitely encouraged me to make some tonkatsu myself! Oh! I hope you try it out! Aw I loved seeing your mom’s replies! I’m also scared of deep frying but it looks like you did a great job. I look forward to seeing more! Thank you! I have a little piece of metal that looks like chain mail to scrub off the hard pieces of food residue before cleaning with just water. That helps keep it smooth!